Momentum in sport is defined as a change in attitude and behavior caused by an event during competition that affects the quality of performance and possibly the outcome of the game. Positive momentum is when everything seems to be going right and negative momentum periods are when everything seems to be going wrong. Hockey is a game of momentum. When there is a timely goal or a big hit then teams have momentum on their side. When there is a bad give away or a bad goal frustration may set in, concentration and focus gone and the momentum can shift to the opposing team. Pressure point. In many cases coaches, players and teams are not aware of momentum shifts and simply go with the flow. There are ways to stop momentum swinging whether you have it or don’t have it. These events that take place in a game that can switch momentum are called pressure points. Our players must understand and recognize these pressure points and know when momentum is shifting, it is up to us to teach players about the situations, when they occur and strategies to deal with them. Here are some pressure points in hockey can and must be taken advantage of: 1) First shift of the game or period, here the tempo can be set, you want your team to come out fast and furious, this may dictate the pace of the game, 2) Last few minutes of a period, you want your team to send a message to the opponents as to what they can expect for the next period, 3) When you score a goal or are scored on. 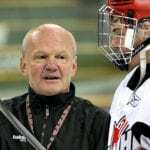 It is the responsibility of the coaches and players that the players that are on the ice after the goal, make sure that they do what it takes to get another one or get the one back. 4) The opponents had a power play or missed a scoring chance, these are situations that can be used for your team to turn up the heat and put pressure on the opponents. Other situations in hockey are: a bad call from the ref, a great save by your goalie, a hit post, a huge hit, encouragement from the crowd or a teammate. Challenge your players in a meeting to see if they can come up with more pressure point situations. It is important to remember that momentum can work both ways, players and coaches should be mindful of this! Everyone must remain patient and remain positive because as they say, “what you think about you bring about”. Positive results depend on positive attitudes! Call a time out, players will get a rest and this may be a way to interrupt the positive streak your opponents are having. 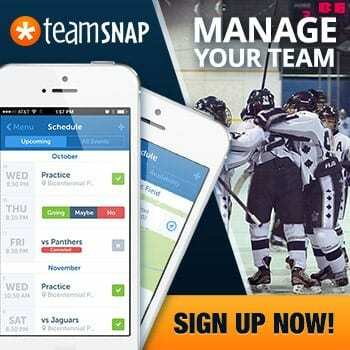 Change the goaltender, sometimes this can trigger your team to gain a psychological spark. Double shift a line that has just kept the pressure on the opponents. Or “wind up” the checking line and give them several shifts in a row. Benching players that are not performing and playing players that are having a good night can spark the team to gain the momentum. Try the unexpected. This may be risky but may also set a spark. An example is a face off play in the offensive zone. If the team is losing, try floating a forward in the Neutral zone while your team is the defensive zone. Get into an argument with the referees! Even if it means taking a bench minor the idea is that the coach is standing up for the team thus creating a pressure point that the and players may rally around. Please do not use this one too often as Coaches are to be role models for young players! 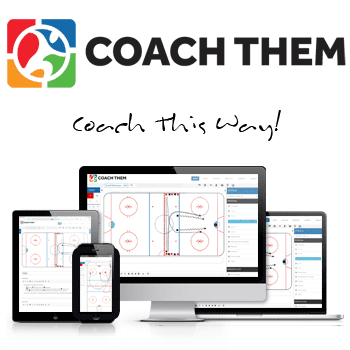 Change the game plan, Example: if the team is forechecking using a 1-2-2 system the coach can change to a 2-1-2. If the other team has pressure in your team’s zone, have the goalie create an equipment problem, this can slow the game down. Create buzz words for when the pressure point situation arises, the coach can remind the players. 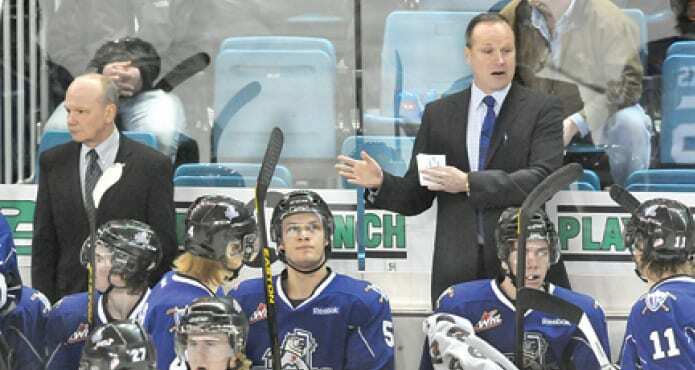 For example after a goal is scored and the new line goes on the ice, coach can say, “Okay let’s have a ‘super shift’”! This can help create a positive performance state. Educate the pressure point situations and how they can change momentum of a game. Players will then be mindful. Stay positive and maintain positive body language. Smart opponents will be able to read this. Conversely your team may read the opponents body language and apply more pressure. Stay calm and focused on the task at hand. Review the past play when on the bench, then take a deep breath and let it go. Remember the buzz words that were created and repeat them. This helps maintain focus and stay in the present moment. Win the next shift do not try to win the game, this also helps to stay in the present moment. Maintain a high intensity of effort. One shift at a time and full on, this helps to keep the momentum! All these points will give the players the feeling that they are in control of themselves and the situation. Controlling the situation helps with confidence, that will lead to an increase in energy and motivation. Understanding pressure points and how shifts in momentum works will keep you and your team one step ahead of the opponent and can be used to a real advantage. 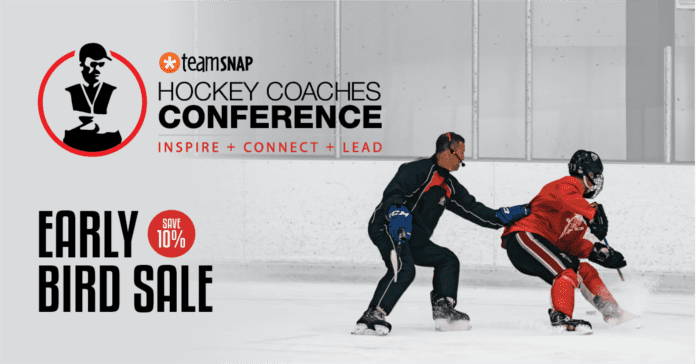 If you have any questions about this article, anything about coaching or learn more about our coming hockey camps you can email me at enio@coachenio.com , call 604 255 4747 or visit my website at www.coachenio.com.